December 19, 2012 - Working Fire - 35 Bluffers Park Rd. 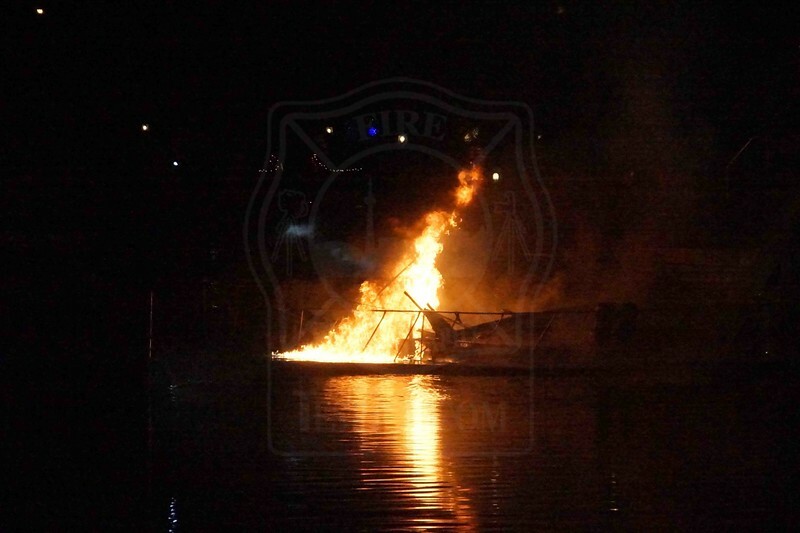 Fire in a 40' cabin cruiser with 400 gals. of fuel aboard, at the Cathedral Bluffs Yacht Club. First in crews faced difficulties establishing a water supply, and resorted to relay pumping to get lines in operation. The water tanker and fireboat were requested, with Fireboat Sora eventually put into operation to supply water.